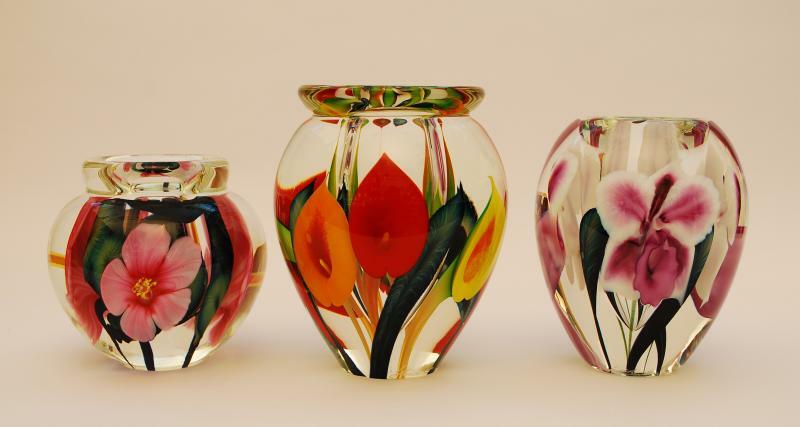 ORCHID VASE, PERFUME, PAPERWEIGHT AND BOWL - Created by Scott Bayless of Lotton Art Glass. 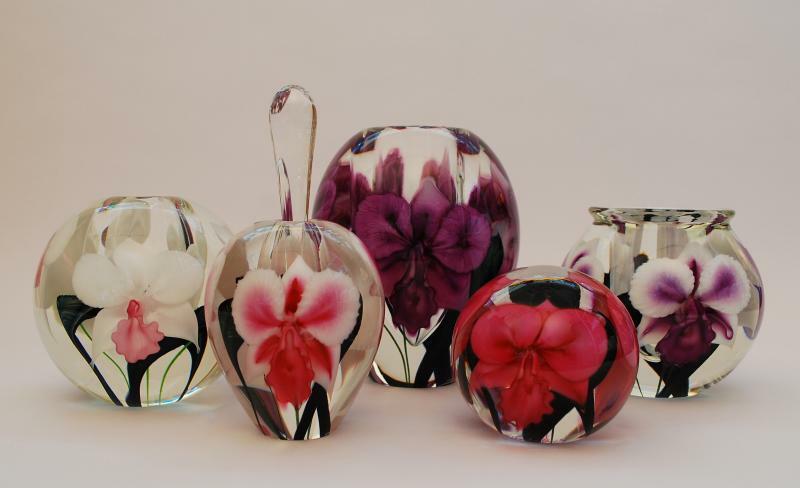 HIBISCUS, CALLA LILY, AND ORCHID VASES BY SCOTT BAYLESS. 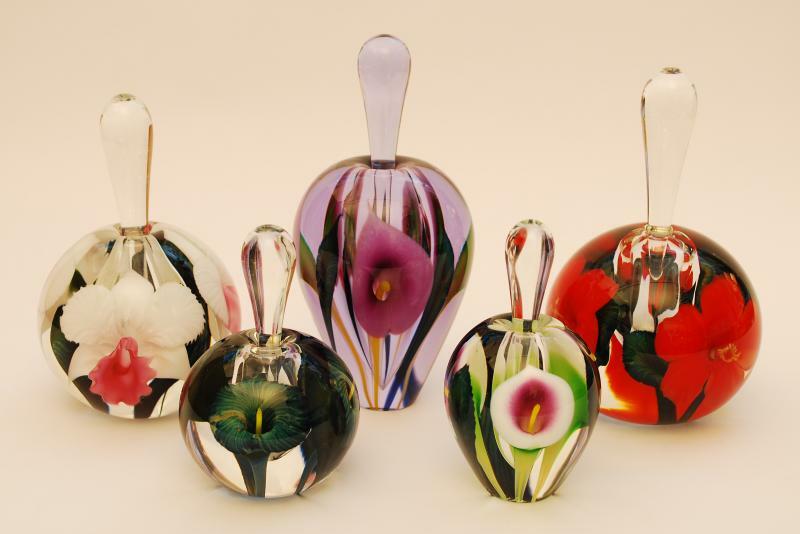 ORCHID, CALLA LILY AND HIBISCUS PERFUME BOTTLES BY SCOTT BAYLESS. 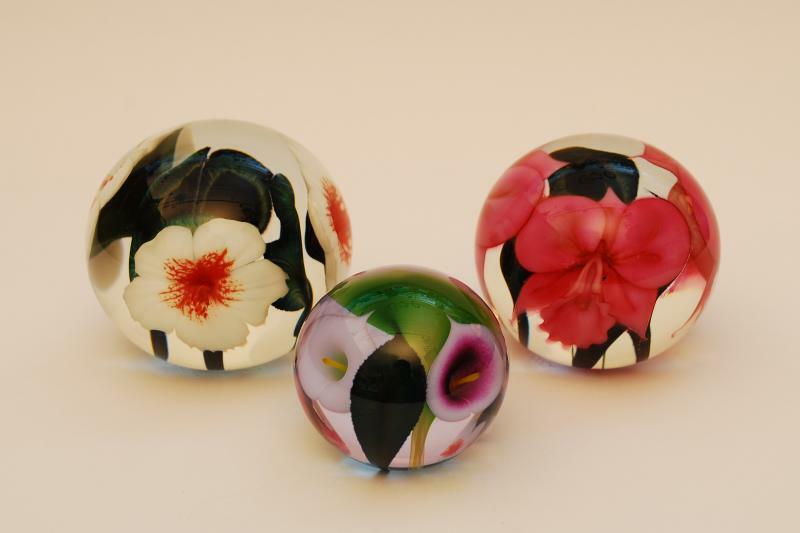 HIBISCUS, CALLA LILY AND ORCHID PAPERWEIGHTS BY SCOTT BAYLESS. 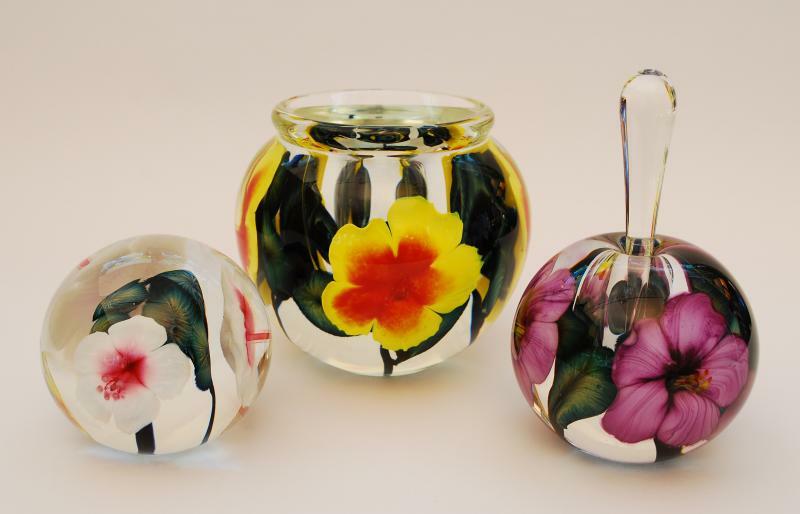 HIBISCUS PAPERWEIGHT, BOWL AND PERFUME BY SCOTT BAYLESS. 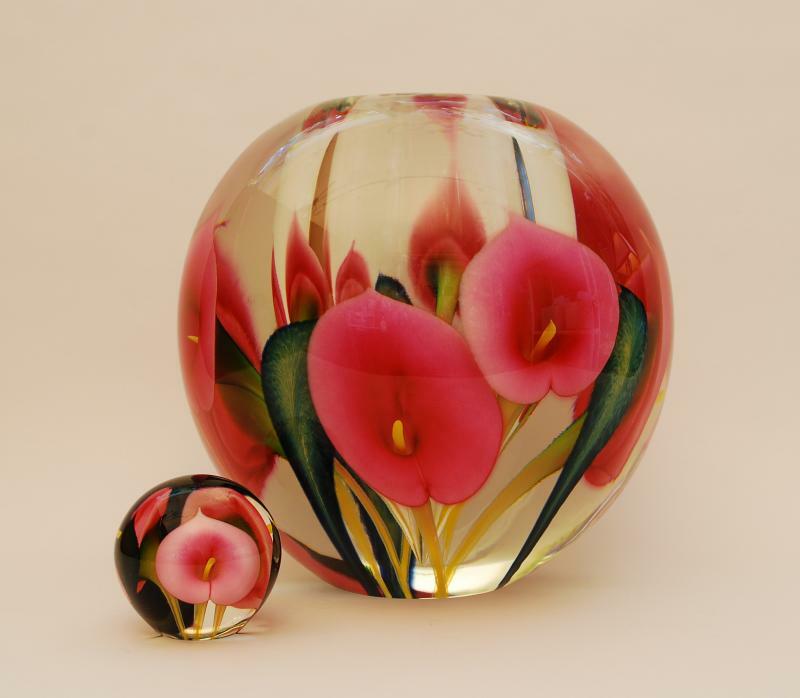 CALLA LILY ART GLASS BY SCOTT BAYLESS. 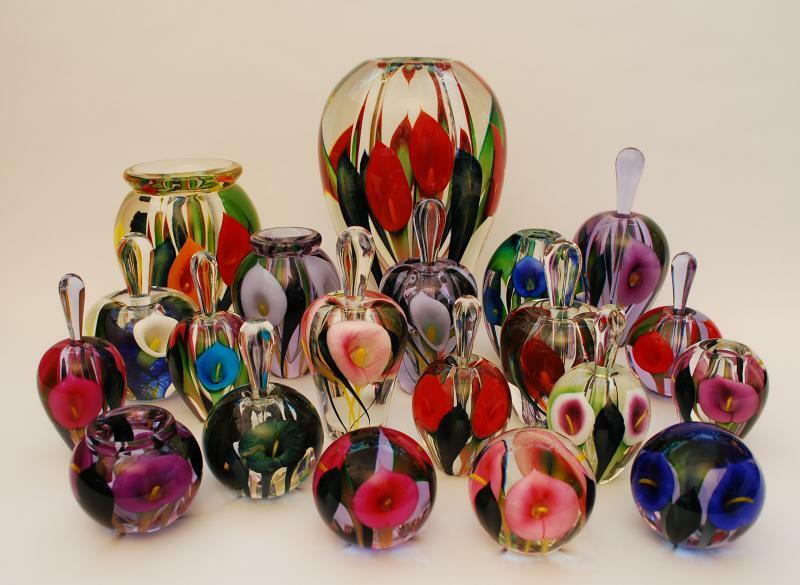 CALLA LILY ART GLASS, LARGE AND SMALL, BY SCOTT BAYLESS.